Everybody knows how important maintaining a clean home is and probably most of you are spending lots and lots of hours cleaning while secretly desiring to have a rest, to go shopping, for a walk in the beautiful parks in London, or just to spend some quality time with your family or indulge in those special moments dedicated entirely to you. Splendclean offers Regular Domestic Cleaning Service, so that you can have a quick and effective cleaning for your home and more free time and less effort for you. We know how important security is for all of our clients. Therefore, we carry out all the necessary scrutiny and monitoring in order to make sure that all of our domestic cleaners are trustworthy, responsible, and friendly. So you can feel free to trust them. Upon request,is possible to meet your house cleaner before assigning a regular domestic cleaning service. For small charge, Splendclean will try to arrange a meeting of your convenience at your place. This way you can explain your needs and demands in person directly to your domestic cleaner and you can get to know them and decide on whether you would like to work with them. Please note that his option sometimes may not be available. It is strongly depends from the house cleaner's shedule, desired time slot and your location. For the sake of security, all of our clients who give us a set of keys receive a document which contains information about the cleaner using the set of keys. There is also a deposit which is paid by the cleaner in case of loss. There is no personal information for the client on the set of keys – no names, no post code, no address, etc. We provide our cleaning services in South East London, East London and Central London. • Cleaning and polishing the mirrors. • Cleaning and polishing the mirrors, chrome, glasses, shower cabin. • Cleaning inside/outside: washing machine, microwave, fridge, hobs, oven (twice a month, if required) and other kitchen equipment. 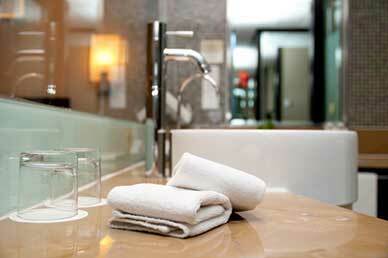 • Disinfecting bathroom and toilet. • Floor cleaning-vacuuming and mopping. • Ironing (if required-no additional fee). If you have any special requirements, do not hesitate to contact us. Our domestic cleaners will be happy to meet all of your needs. Need a deep clean of your property? Take a look at our One Off Cleaning Service.